Wondering when to switch from an e-cig to a vape mod is common amongst vapers with little experience. In fact, from the time you start vaping and begin doing research on these life-saving alternatives, you’re more than likely already wondering what else exists that could make your experience even better. This is a natural way of thinking, as humans are drawn to new innovations and ways that could make vaping –or life in general– that much easier. However, there’s no rule book on what device you should or should not be using, it all relies on what fits you best and what you prefer most. Let’s break this question down further. A standard e-cig is a device that often mimics the look, size or shape of a traditional cigarette. That doesn’t always mean that it has to look the same, but it will commonly take on the same shape or size. Many refer to a standard e-cig as a device with a similar shape to that of a traditional cigarette or cigar. A vape mod on the other hand, takes on a different look, it has a larger size to accommodate a larger battery, and it will typically offer more power. Most users start vaping by using a standard e-cig, while more experienced vapers typically take the liking to advanced vape mods. Why Switch To A Vape Mod? Most likely, you’ve stumbled upon this article because there’s already some interest in switching to a vape mod. Not only are you wondering when you should switch to one, but also what is the best way you should make this switch. There are several reasons on why you should switch, as well as several reasons why vapers before you have switched. 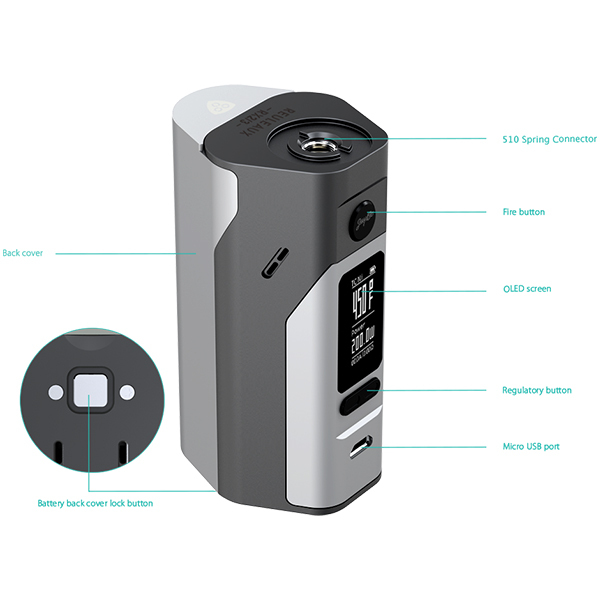 A vape mod has features that even the best standard e-cig simply can not deliver, and this is the main factor you should examine before making the switch. Standard e-cigs are discrete, very portable, super pocket-friendly, yet they lack in battery life, power, and e-liquid capacity. On the other hand, a vape mod offers a lengthy battery life, plenty of power, an option for a larger e-liquid capacity, a more commonly accepted modular design, and it bleeds increased performance. However, even though it’s rather portable, it isn’t as pocket-friendly due to its larger size. It’s simply a trade-off that you’ll have to accept just like many before you have; better features and larger size versus less features and a smaller size. If more battery life and better performance is what you seek, then that leads us to the question of when to switch from an e-cig to a vape mod. You should only switch to a vape mod when you’re ready, not because that’s where the crowd is headed. There are plenty of seasoned vapers that still use an e-cig and swear by it, while there’s also a larger portion of vapers that simply prefers a vape mod. However, the time you are no longer satisfied with your e-cig, rather that means it isn’t supplying enough power, doesn’t have enough battery life to keep you vaping all day without having to recharge it or even doesn’t have enough features, that is the best time to really consider switching from your e-cig to a vape mod. You don’t switch because you’re told to or because that’s what others are doing, you switch to enhance your vaping experience and to make it a more enjoyable one. There is a market for either device, both have their pros and cons, but it ultimately comes down to what you prefer most. If you’re looking to take the next step into the world of vape mods, then you obviously need to start out with the best, because remember it’s all about making sure you receive the best and most comfortable experience you can while vaping. GuideToVaping has a great article about the best vape mods that describes the vape mods that have the best wattage, features, the best battery life, the best build quality, and all at the most affordable price. There are many options available to vapers, some being better than others, so be sure that whatever choice you make, you don’t settle for less when you can get more.